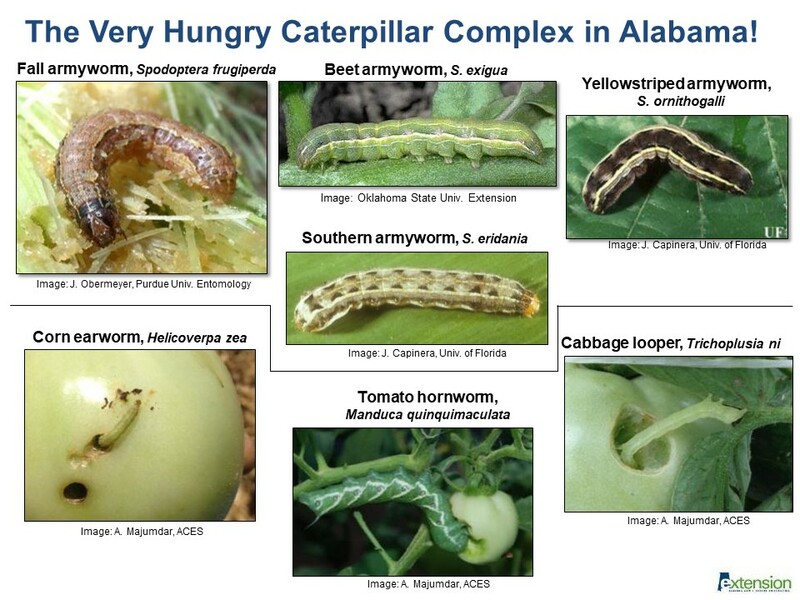 Different species of caterpillars can be detrimental to fruit and vegetable crops in the Southeast. 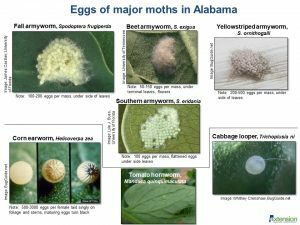 Ayanava Majumdar, Extension entomologist with the Alabama Cooperative Extension Service, says although recent storms in the Southeast have slowed down moth activity, pests are still looming due to the heat. According to Majumdar, armyworms seem to be active. 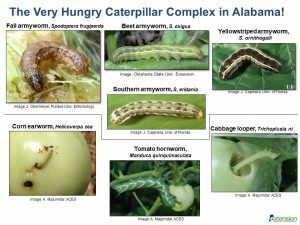 Beet armyworms are usually the first insects to move into a vegetable field, then other species like fall armyworm, southern armyworm and yellow striped armyworm follow. Armyworms typically start out in hay fields where they feed on weeds, then they move to crops. 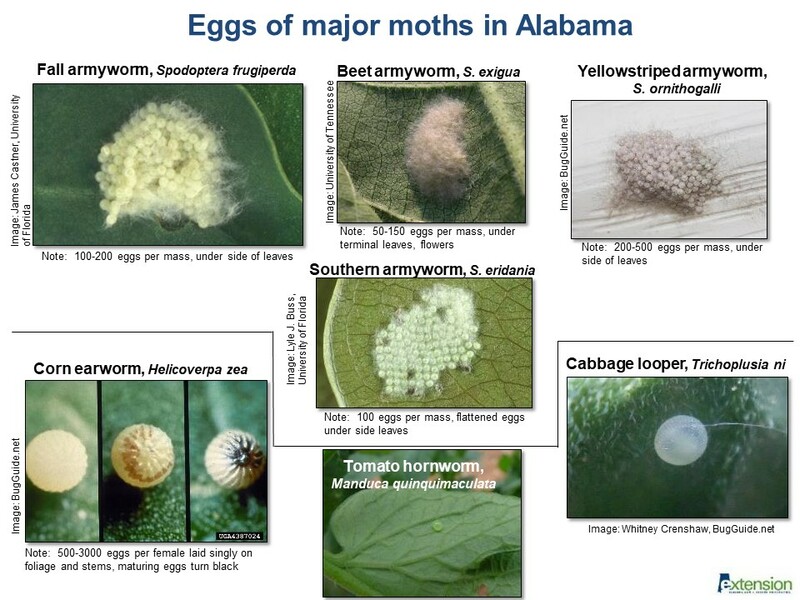 “The numbers right now (in the traps in Alabama) are about five moths per trap, so not terribly high, but a strong indication that the armyworms are liking the hot weather right now,” he says. Armyworms lay eggs in masses, ranging from 115 to 200 eggs per mass. Eggs are laid on leaf terminals and sometimes on stems or flowers. The masses will be covered in scales, making them look fuzzy. The best time to control armyworms is right after the eggs hatch. After hatching, the armyworms keep feeding around the sides of where the mass was. “They don’t go very far in the initial stages, and that’s where the control is most effective, especially if you’re using organic methods to control these armyworms early,” Majumdar says. When the armyworms get a little bigger, they disperse, making it difficult to control them. Good first steps to managing these insects are reducing stress on the plant and ensuring timely plantings. 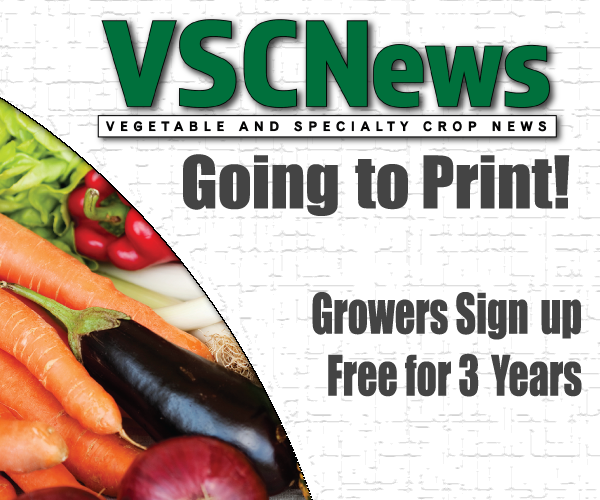 “Later plantings may increase pressure of these pests,” Majumdar explains. Majumdar says using some sort of pest exclusion system, which he has seen in some trials, can be helpful. Basically, fabrics are used to keep the moths out of greenhouses. “It’s a very simple but very effective strategy,” he says. There are also several insecticides available for growers. Majumdar says that growers should take caution with insecticides so beneficial insects are not killed off. “Anytime insecticides wipe out natural enemies like lacewing larvae or ladybeetle larvae, it always backfires because then you have more aphids and whiteflies to worry about late in the season,” he says.